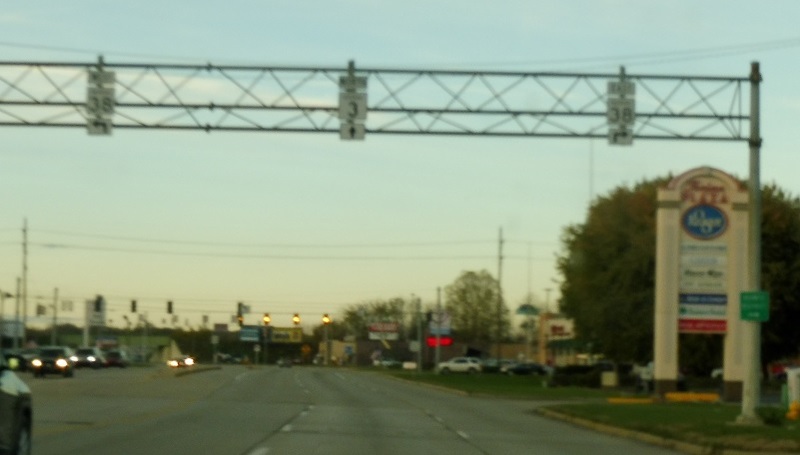 Reassurance shield after the I-70 junction. 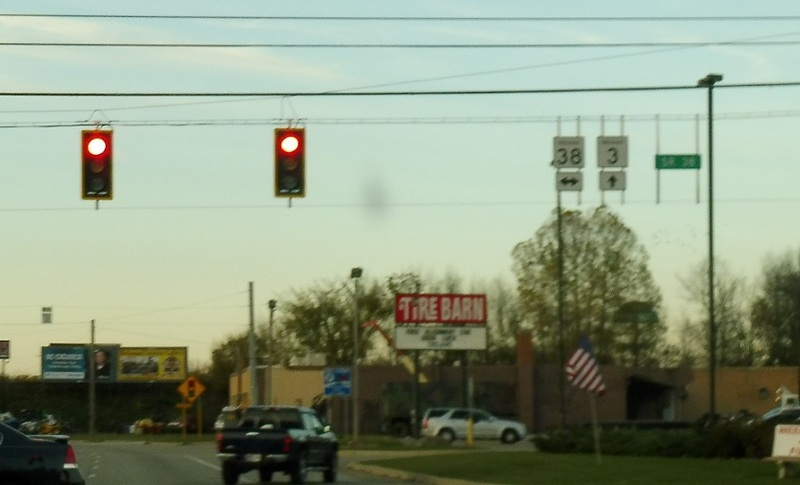 A few miles later, on the west side of New Castle, we’ll approach SR 38. 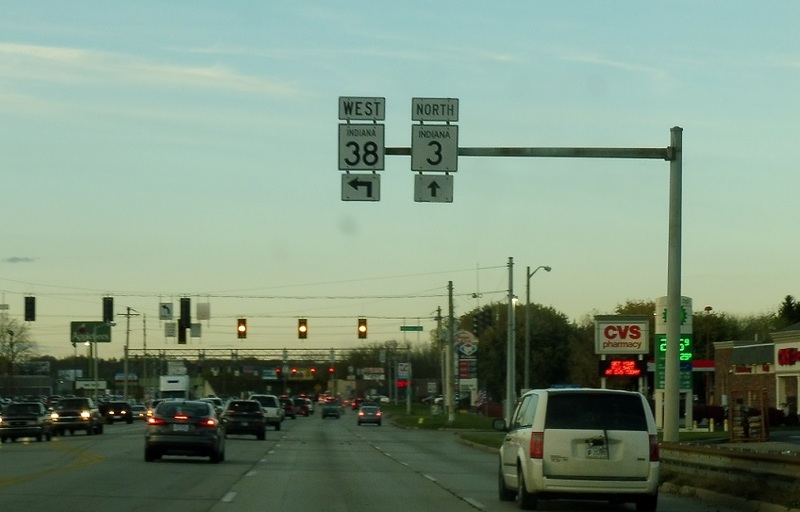 Turn right for 38 east and left for 38 west. 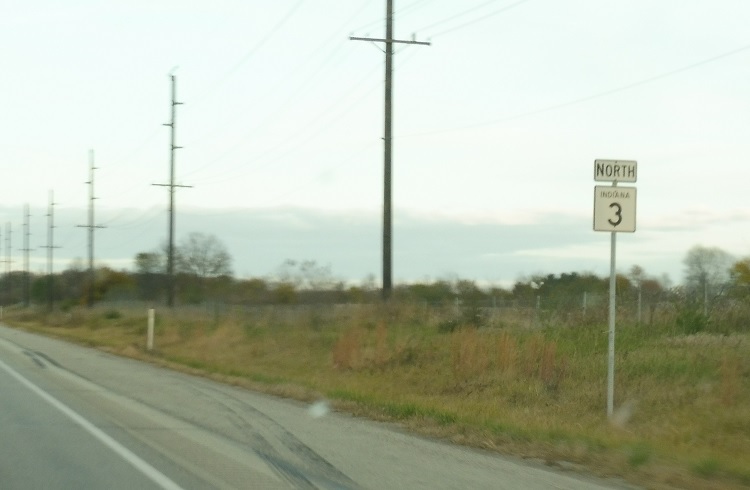 Stay straight for SR 3 north.